While there were many aspects of the new year that had my family eagerly awaiting the clock to turn to 2015, one that had all of us on extremely high anticipation came from one of our favorite names, KIDZ BOP. There is just never any doubt that my kids' eyes light up just as much as my husband's and mine when a new CD featuring the latest hits in a family-friendly way is released. 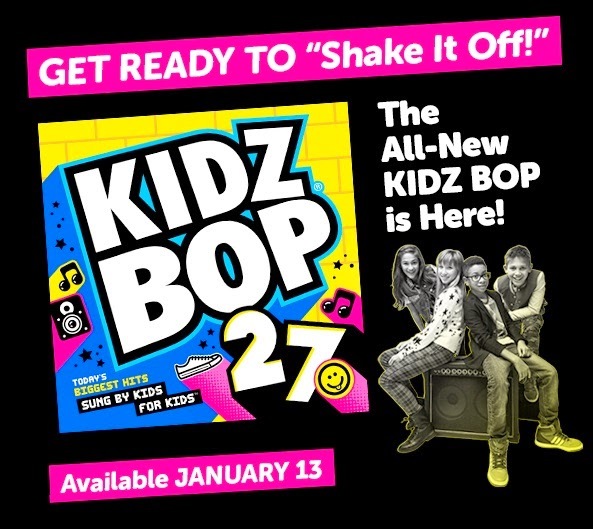 And, as expected, exactly that has occurred with the arrival of KIDZ BOP 27! If you're still pretending that you don't love "Shake It Off" or "All About That Bass, " it's time to give up the charade! Everyone loves these amazingly catchy songs and my kids have had a great time singing and dancing along to them (as well as the rest of the titles) on KIDZ BOP 27! This CD has been such a fun way to have the whole family singing, dancing and enjoying just how toe-tappingly fun these songs are. Because they are kid-friendly, I don't ever have to worry about any questionable lyrics and instead can just sit back and enjoy the familiar tunes in a suitable way for young listeners! If you don't have KIDZ BOP in your house, you're missing out! 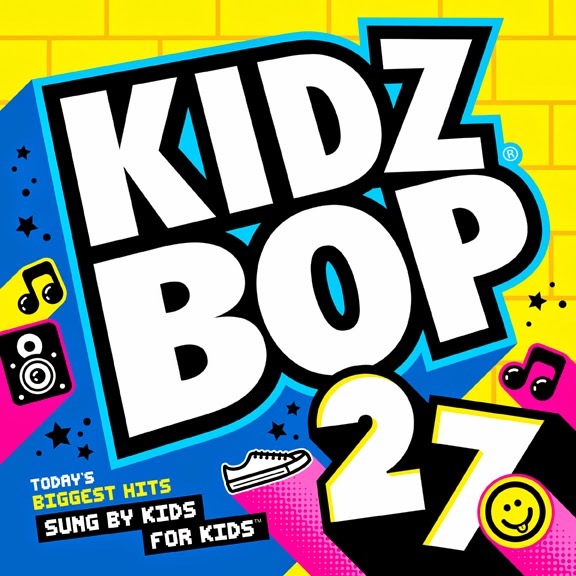 Whether you're having a rockin' party or just want something that the whole family can enjoy in the car, KIDZ BOP 27 and the entire line of KIDZ BOP CDs are sure to be a hit. More details and purchase information can be found in the KIDZ BOP Shop (this CD retails for $14.98) as well as on Amazon (for $9.99). Other purchase options include iTunes, Google Play and Amazon MP3. One person will win a copy of KIDZ BOP 27! A big thank you to KIDZ BOP for providing a copy of KIDZ BOP 27 for me to review as well as for one lucky giveaway winner. The opinions shared are my own and honest and if you really need to see more, click here to see how I roll.